Part two of The Hobbit series is in theaters now, so I imagine you are very busy with the finale. After that, however, do you know what you'll be working on next? Because I have an idea for you. Sure, your next major film should be another epic worthy of your visionary scope. Maybe The Odyssey? The last attempt was sub-par. Same with A Wrinkle in Time. And a version of Wagner's The Ring Cycle was a recent, not very good TV movie – but if you're tired of ring-based epic fantasy trilogies, no one will blame you. Still, in between Tolkien trilogies, you remade King Kong. And it is this kind of palate-cleansing, one-movie project I am pitching you now. Like that story, this one is centered on a misunderstood monster, torn between duty and self-fulfillment. The story? That of The Golem. It's the tale of a man-made monster, and it inspired many other characters, namely Frankenstein's monster. A debt is owed to the golem from every android all the way from Karel Capek's R.U.R. (source of the word "robot") to Star Trek's Data, all automatons brought to life and trying to find their humanity. The Golem's story led to everything from romantic comedies to sci-fi romps to horror movies to … whatever you call Ted. And speaking of toys coming to life, the Golem inspired dozens of children's stories: Pinocchio, The Velveteen Rabbit, Frosty the Snowman, The Nutcracker, The Indian in the Cupboard and Toy Story. I could name a dozen more. There is a ton of source material from earlier tellings of the Golem legend, everything from plays and operas, an award-winning children's book, and even a video game. In fact, a permanent exhibit in the Jewish Quarter of Prague is dedicated to the legend. 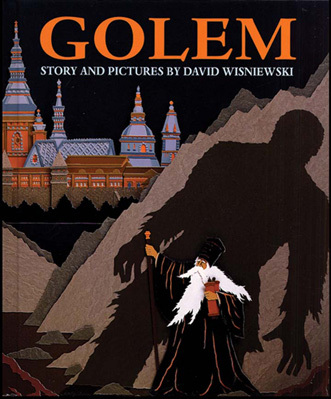 But none of the many earlier movie attempts to film the Golem's story, however, had the benefit of today's technology. And none put the Golem in context of the persecutions it was created to combat. And none had access to the kinds of budgets you do. Like King Kong, the story is ripe for a modern, epic take. Also, you have the perfect actor to play main character in Andy Serkis. I mean, after so many years as Gollum, shouldn't he get to play the Golem, his Yiddish namesake? The role of Rabbi Loew could go to Ian McKellan, or one of his Shakespeare-trained contemporaries … or maybe Ben Kingsley. So I am looking forward to The Golem, a film by Peter Jackson, in time for Chanukah of 2017. Just make sure it doesn't open on a Friday night, OK?